The Yanagiba / Sashimi Knife is a long slicing knife that was designed to slice thin slices of fish for sushi and sashimi. 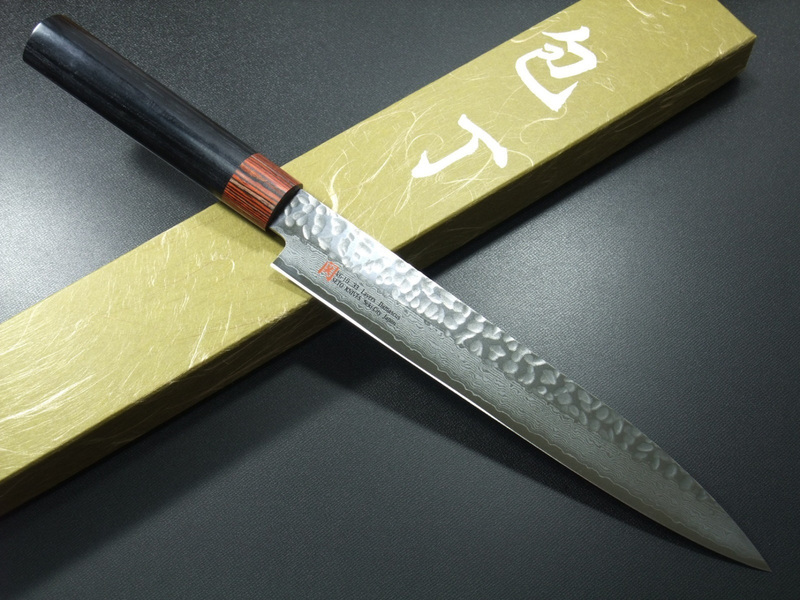 The length and shape of the blade allows it to slice through an ingredient in long uninterrupted strokes, preserving the ingredient's freshness and integrity. 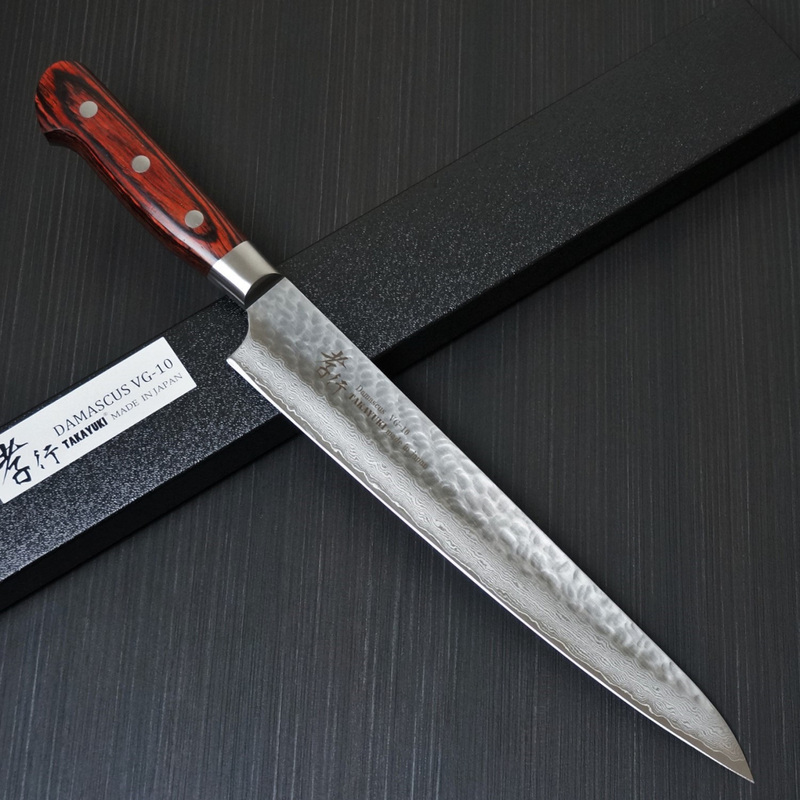 A Classically styled33 layer folded Damascus steel knife with a VG10 stain-resistant core steel. It is very affordable knife considering its specification. 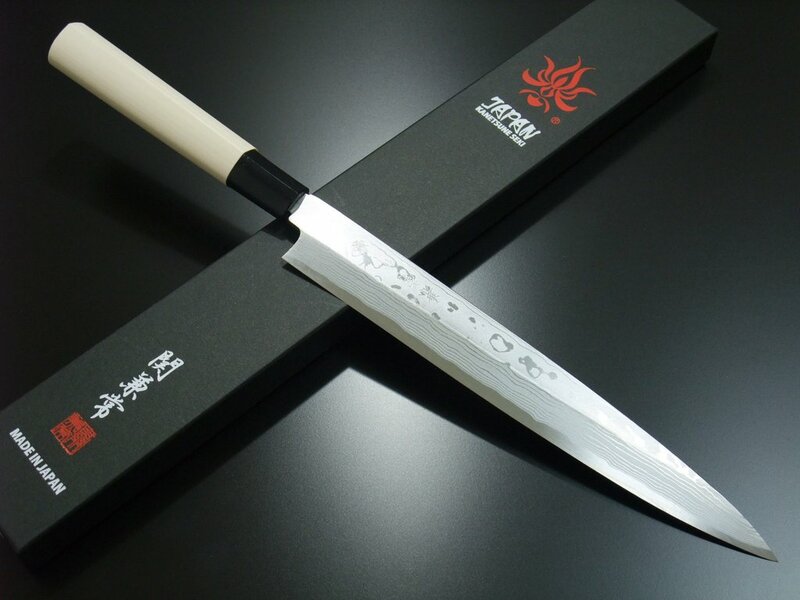 Kanetsune from Seki Japan have been forging steel under the brand Kitasho co. since 1948. 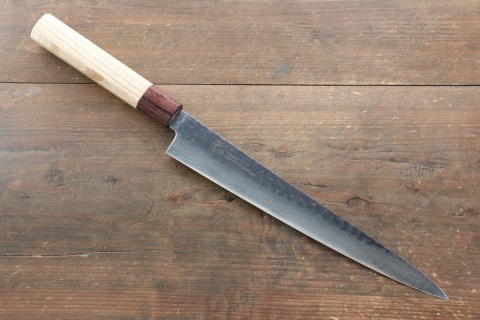 The name Kanetsune originates from the revered 14-15th century backsmith Kanetsune. 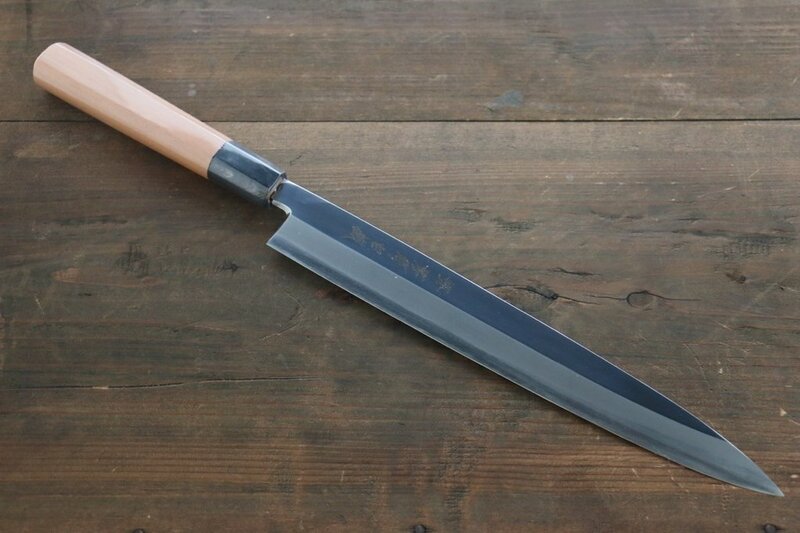 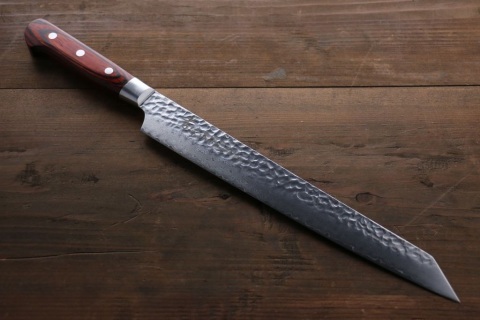 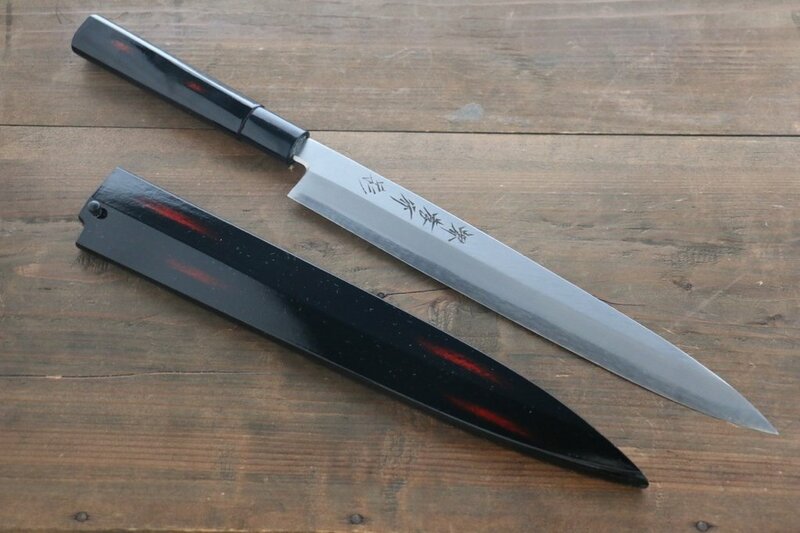 ​This Shirogami (white steel) Yanagiba Knife is a lovely example, Traditionally used for slicing fish for Sashimi but perfect for smoked Salmon or even roasted meats.